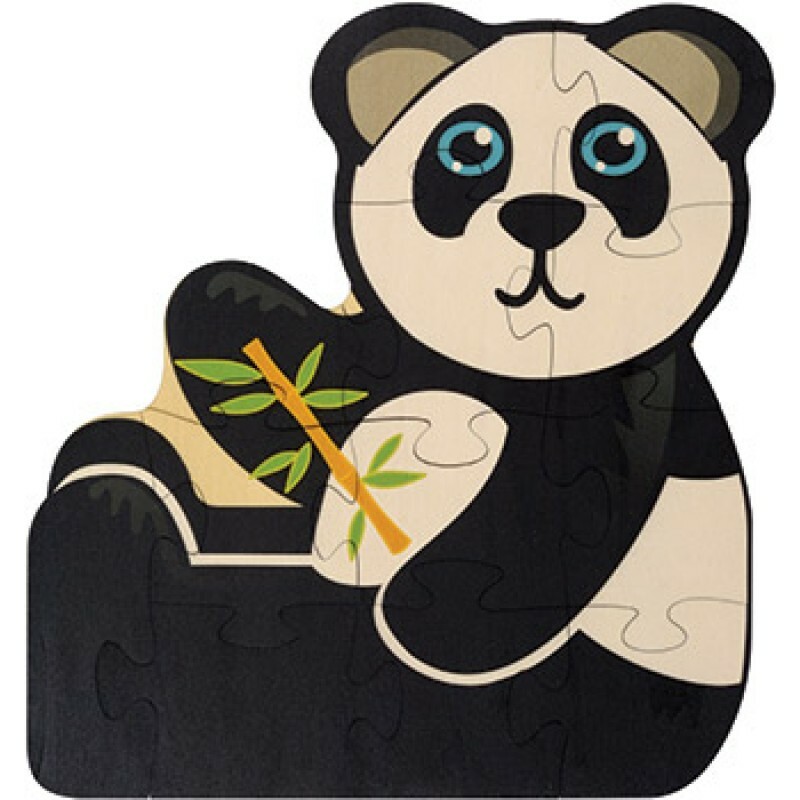 Our Panda puzzle is as cute as can be! It has 12 large interlocking pieces cut from 1/8" hardwood plywood. Each puzzle measures about 13" high and 10" long. Brightly colored and detailed designs are printed right on the wood so the images don't scratch off with lots and lots of play. Each puzzle comes shrink wrapped with a drawstring pouch for easy storage.